Yellow floral tube with purple markings at the throat. Cultivated at Fullerton Arboretum, Fullerton, CA. 5-02-09. © Joan Avise. 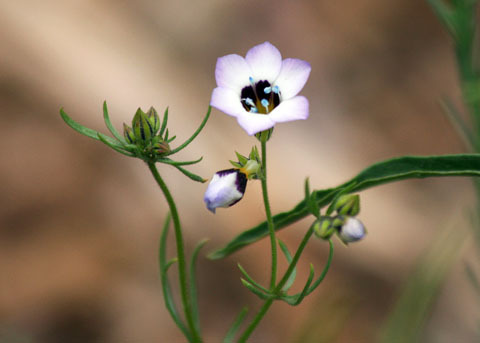 An annual recorded in Silverado Canyon, considered a garden escapee. 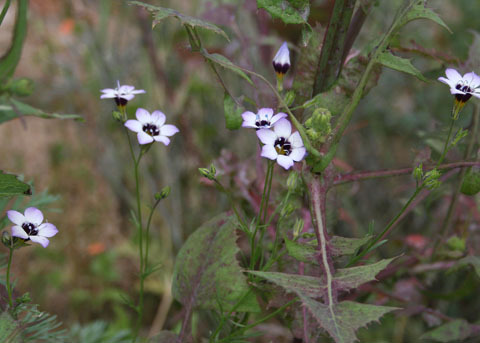 It is sometimes grown from seed mixes in native flower gardens in parks and arboretums in the county. 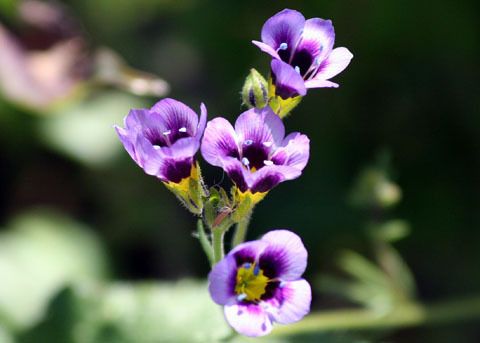 It is a California native in the Central Valley and foothills of the Sierra Nevada and Coast Ranges north of Santa Barbara. Finely dissected leaves. Cultivated at Fullerton Arboretum, Fullerton, CA. 5-02-09. © Joan Avise. Grows to 12 in. tall. Cultivated at Fullerton Arboretum, Fullerton, CA.5-02-09. © Joan Avise. 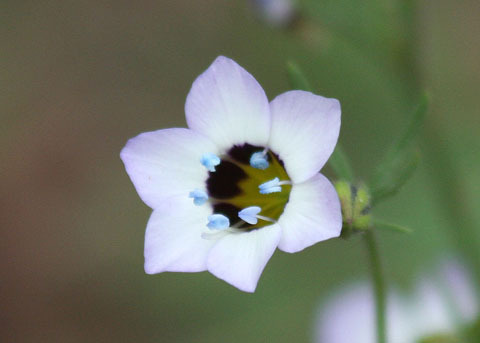 Five violet petals, 5 stamens with blue anthers. Cultivated at Fullerton Arboretum, Fullerton, CA. 5-02-09. © Joan Avise. 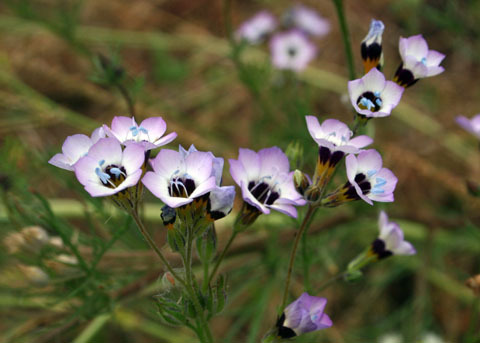 Brightly colored plant grown from seed mix at Laguna Niguel Regional Park, Laguna Niguel, CA. 5-06-07. © Joan Avise.